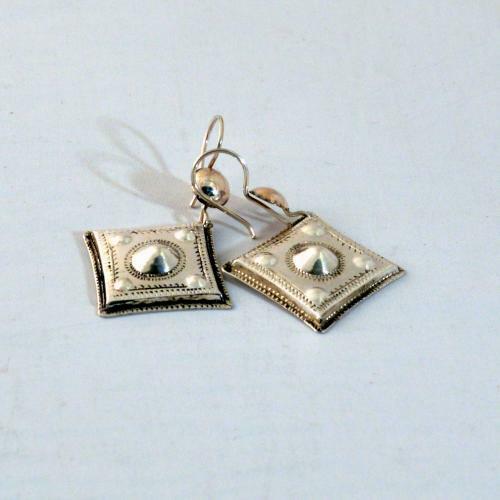 The great thing about Tuareg earrings is that they do not only look beautiful, but also contain many beautiful symbols. The central dome is surrounded by a dune and the trail of a centipede. Around the central dune, there are again traces of a centipede. In the corner of the trailer you can see more dunes. The silver is 98% pure. 100% fair handwork of the Kel Tamaschek (Tuareg tribe from Niger).